The fall season is the best time to start prepping and planning for those new additions you have been wanting to include in your landscape. The weather is finally perfect for you to be enjoying the outdoors again. It also gives you plenty of time for your transplants to be ready for next year. With the temperatures finally dropping to two digits and the weather starting to cool down in the Arizona desert, plants and trees will have the best chance to transplant safely into their new home. With less sun and heat shining down on them, trees will not require as much water as they would need during the summer. They can even benefit from the moisture that is slowly starting to build back up in the air. While the temperatures are getting lower by the day (bye, triple digits! ), the ground is still warm from the scorching summer of the southwest. This makes the perfect environment for new transplants to have successful root growth. The warm soil also decreases the chances of transplant shock to the plant. Planting in the fall also guarantees that the roots have the most time to establish a system and be ready to start focusing on the top growth when spring rolls around. Adding plants in the fall also makes for a more enjoyable time for you now that the bugs are going away creating the best time to plant. The semi-evergreen Tipu tree has turned out to be one of the most popular selections in the southwest region for its quick growth and attractive glossy yellow flowers that bloom through the summer months. It only takes a couple of years for the Tipu tree to reach peak heights and begin growing large canopies of shade for your home, patio, or any areas of your landscape that would benefit from shade. Planting a Tipu tree is also a fantastic way to guard other smaller plants in your yard from the hot desert summers. This tree does not require heavy upkeep and it thrives nicely in different kinds of soil and drought-like conditions. A popular choice for landscapes in the Arizona desert, the Raywood Ash tree is known for its spectacular display of somber red to deep burgundy foliage in the fall that gives any landscape a unique look for the season. Its leaves drop off quickly after the fall season, allowing for an easy clean up once a year. 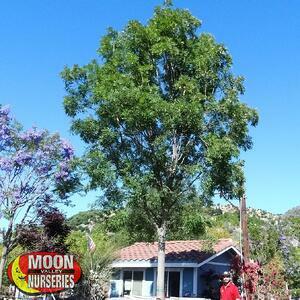 During the summer months, the Raywood Ash is a model shade tree that grows upright more than it grows wide. This tree has dark green foliage that provides a sharp contrast to any landscape and looks great when it is planted alone as a focal point or as a specimen shade tree, where its brilliant beauty and color can be admired. Adding splashes of color to their landscapes is a common reason our customers start looking for new plants and trees. With so many choices and varieties to choose from, it can be difficult to decide. One of the best choices for stunning bursts of color throughout your yard is the Crape Myrtle tree. These breathtaking trees bloom from late spring through the fall and are the perfect addition to any front or back yard. In the fall season, the Crape Myrtle tree produces exquisite colors in golden, red, and orange. 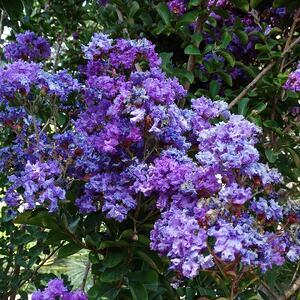 They will look visually pleasing if they are planted in clusters or in an accent location in your yard. The trunk of a Crape Myrtle tree is its own beautiful structure with multiple trunks coming out of the ground. The trunk can be dramatically displayed with landscape lighting highlighting its unique look. 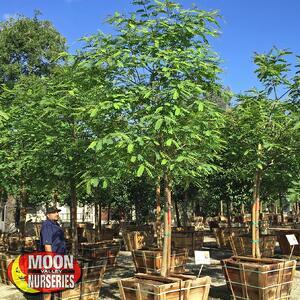 Stop by and check out all our fall trees at any of our Moon Valley Nursery locations. 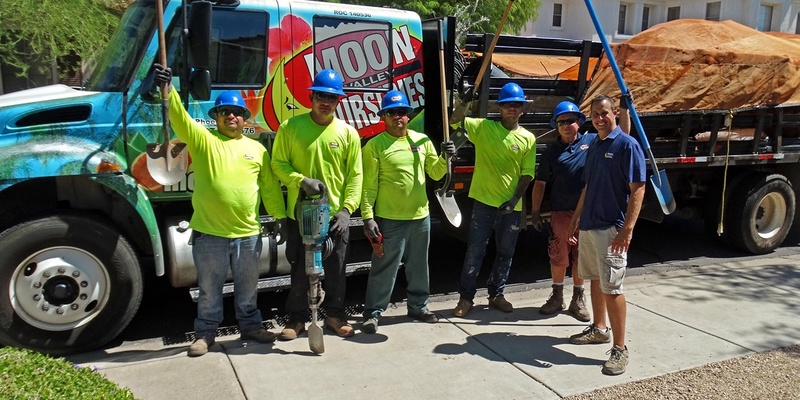 Our experts are available to handle any landscaping questions, requests, and needs you may have for your yard.